“Our company has always been completely focused on offering the best possible tools to sound engineers. It is for this reason that we are home to exceptional brands such as Adamson loudspeaker systems and DiGiCo digital mixing desks. These are brands that have a clear vision of the future and are considered paragons of our industry. We have never seen ourselves as being in a race simply to add more brands to our portfolio but having experienced KLANG 3D technology, we knew immediately that it fitted perfectly with our philosophy. 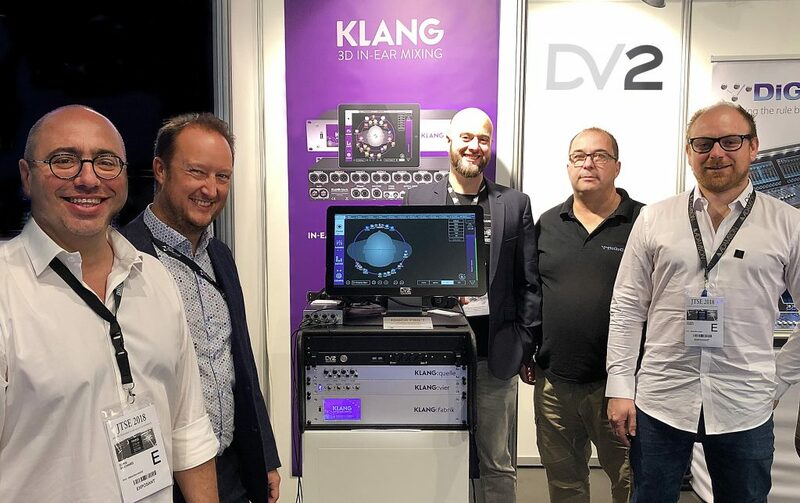 DV2 France is part of a group of audio companies including DV2 Belgium and United Brands GmbH, Germany. Staffed by more than thirty enthusiastic and passionate audiophiles, the group is responsible for the distribution of an impressive portfolio of market-leading brands.